We Telugu people like to have spicy food most of the time. Chutneys or pickles are very important among them. In the breakfast menu, we wish to have only chutneys or spicy sambar and curry. Every day we cannot make all of them, so will prepare chutney and serve them. To make kids eat breakfast without any fuss we prefer this way, offering them it with one or two spicy chutneys. People of my native place Nellore call onions as erragadda, may be because of the colour of it. So chutney made with onions and red chillies are called Erragadd karam. It is the best accompaniment for dosa and idli or even serves it with upma also. It can be stored for one week or even more if we refrigerate it. I have learned it from my aunt when I visited her place last month. Always she keeps this chutney available on the table. This chutney making is very easy, just soak some red chillies and grind them with one or two onions, cumin seeds and salt. That all we have to do for this chutney. 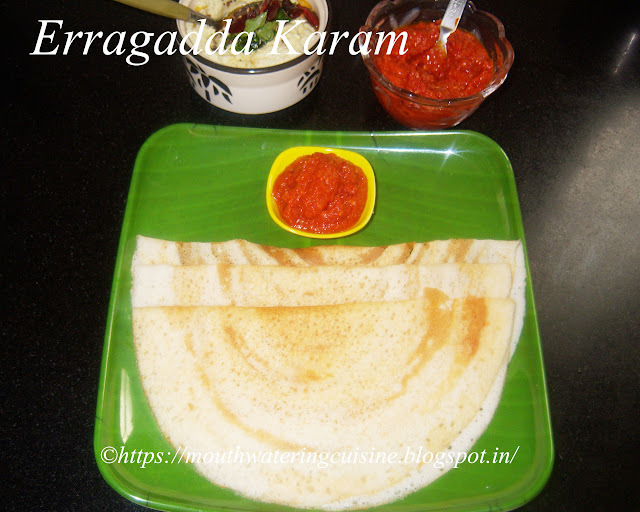 Erragadda Karam -- Spicy onion chutney made with red chillie, nice combination for dosa and idli. Boil water in a small vessel. Add red chillies and allow this to boil for a while. Cut onion and add soaked red chillies to it. Add salt, tamarind and cumin seeds to it. Blend all of them in a blender jar for 2 minutes. Or till the red chilli seeds also grind properly.Do not add water. Serve erragadda karam with dosa or idli. 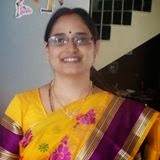 For more chutneys and pickles click here.Thank you for visiting my blog. Hope you liked all my recipes. Any feedback and comments are appreciated.